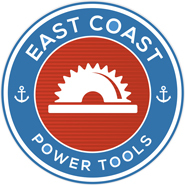 At East Coat Power we offer a huge selection of tools, and FREE shipping to most destinations in Canada & Continental US for orders over $100.00. * Some restrictions apply. We process all orders during regular business hours (M-F 8:00 AM - 5:00 PM Atlantic Standard Time). That means you can expect your order to ship within 2-10 business days. You will be notified of any shipments that fall outside of that window. * Free shipping does not apply to large and/or heavy items (over 50lbs) or any items requiring a freight carrier. Items that are over 50lbs will be shipped and billed to you at the most economical rates we have available. Please note: your order total must be a minimum of $100.01 (before applicable taxes) to qualify for free shipping. Our Free Shipping offer applies to most locations in Canada excluding but not limited to: The Yukon, Northwest Territories, Nunavut, any island location as well as any other destination requiring ocean or air freight service in any province or territory. This policy also excludes all locations in Canada deemed as "remote" by Canada Post. In order to ship your package, we require a complete street address with postal code to insure that you get prompt delivery. We are not responsible for shipments that are delayed, lost, or misdirected due to an inaccurate address being provided. East Coast Power Tools will not be responsible if additional shipping charges are accrued because of incorrect or incomplete addresses. If a problem with a shipping address is discovered, we will attempt to contact you and correct the problem however it is ultimately your responsibility to provide us with accurate information. * Free shipping does not apply to large and/or heavy items (over 30lbs) or any items requiring a freight carrier. Items that are over 30lbs will be shipped and billed to you at the most economical rates we have available. Please note: your order total must be a minimum of $100.01 (before applicable taxes) to qualify for free shipping. Our Free Shipping offer applies to most locations in the Continental US excluding but not limited to: Any island location as well as any other destination requiring ocean or air freight service. This policy also excludes all locations in the Continental US deemed as "remote" by Canada Post/UPS/Fedex.